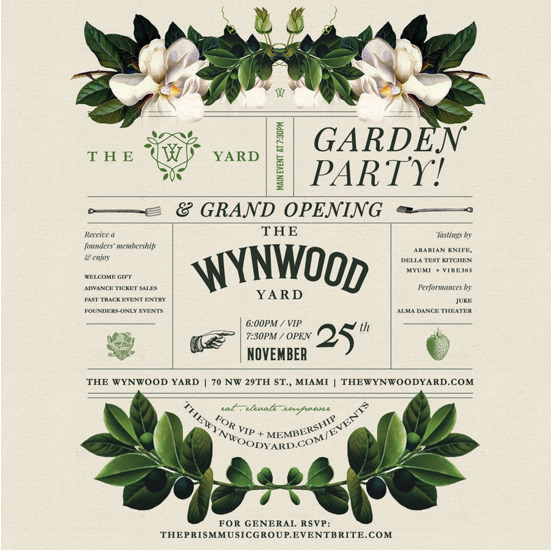 Thanksgiving weekend kicks off with the much-anticipated grand opening of the Wynwood Yard. Touted as a pop-up space for entrepreneurs, Wynwood Yard will host multiple food trucks alongside community gardens and regular programming revolving around art and architecture. The opening promises live tunes by Juke, cocktails by Thyme Bar and much, much more.